I had thought that the last time I went to Weight Watchers to weigh in was very early this year, but I looked at my weigh in card this morning, and it said I weighed in on May 21st. Not as bad as I thought! But I was still pretty nervous to go today. After I got the kids off to school, I ate breakfast and sipped some tea until it was time to leave. Knowing that my weight was going to be up from last time regardless of what clothes I wore, I ended up wearing jeans, a sweatshirt, and sneakers for my weigh in. Last time I weighed in, I'd been hoping that I was still under goal (or at least close), so I wore the lightest clothes I could. When I walked inside, I was so glad to see that my leader was there today. I had been hoping she didn't switch her meeting times or locations or something since the last time I was there. She was really happy to see me, and she came around the counter to give me a hug. I instantly felt at ease, even though I knew I'd be weighing in. I talked to her for a minute about everything that's been going on, and she even told me I didn't have to weigh in if I didn't want to--but I really want the accountability, so I said I was going to weigh in. I bought a new 12-Week Journal. Since I have 12 weeks until I leave for Portland, it'll be a nice way to count down the weeks and (hopefully) see myself getting closer to goal. 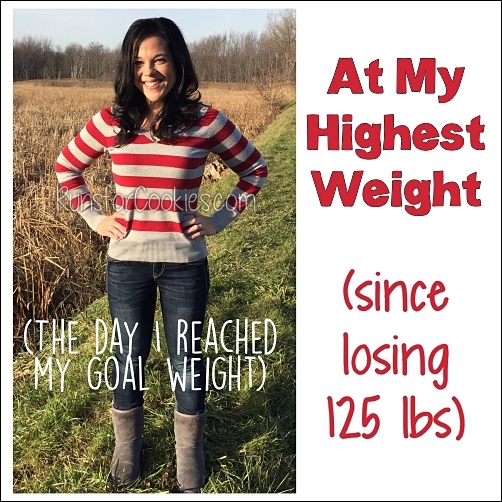 When I first started losing weight, I made it a goal to go through an entire 12-Week Journal without a single binge... and I ended up going through FOUR of them! It would be nice to do the same with this one. I sat down for the meeting and was a little disappointed to see that I didn't recognize more than a couple of people in there. April, the woman that I used to sit next to, wasn't there. I hope she still goes on Wednesdays. Today's meeting was about food pushers--people who push you to take foods that you may not want or you don't have room in your plan for; and when you politely say no, they keep trying to change your mind. Thankfully, I haven't had to deal with this for a few years. 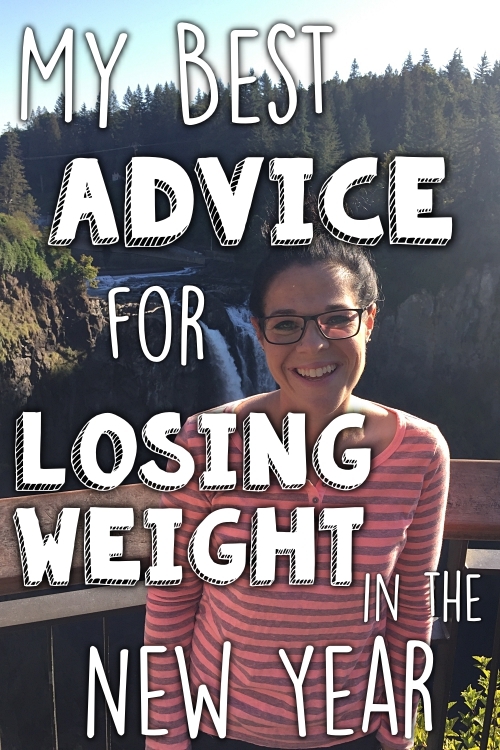 When I first started losing weight, I had to stay very firm with my decisions about food, and I think people just learned that I'm not going to give in just because they want me to. They know now that if I say no to something, it's not because I don't love them or want the food they made; it's because I have to put a lot of thought into my food choices. One thing I love about Glenda, my leader, is that she is very careful never to call foods "good" or "bad". She, like me, believes that we can make room in our diets for anything we want. Some of the other leaders at meetings I've been to said things like, "How can we avoid eating a piece of cake at a birthday party?" But Glenda is realistic, and says if you want a piece of cake, just deduct it from your weekly PointsPlus allowance, and enjoy it! Today, when she was talking about the holidays, she used the same mentality. This week is going to be the most challenging week ever. 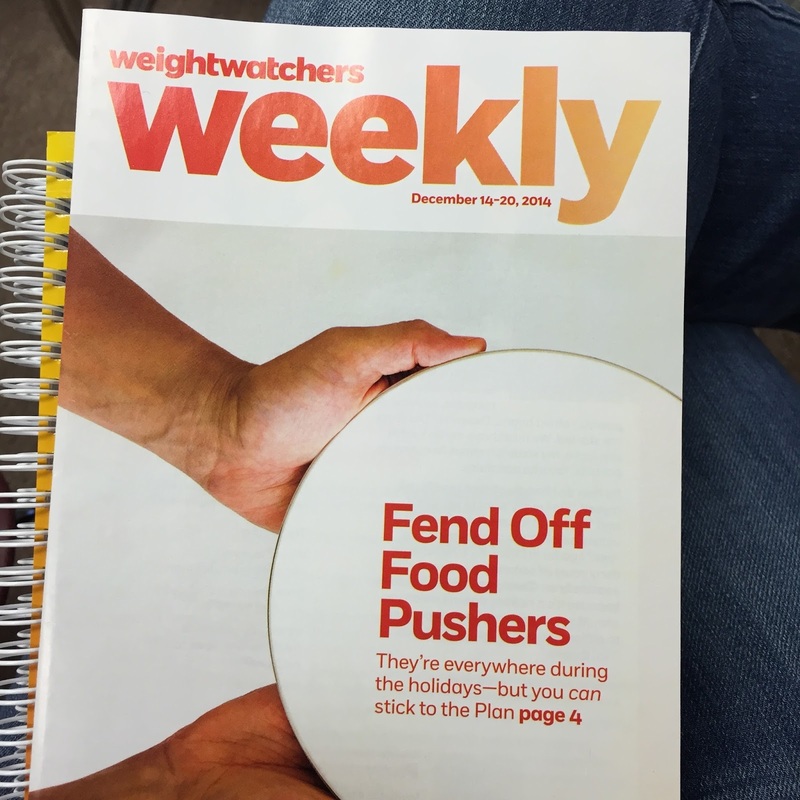 I could have waited another week to go back to Weight Watchers, but I don't believe in "waiting until the new year", so to speak. If I can get through this week and feel good about my choices, then I will feel I can conquer anything! Haha. Sunday- Jeanie will be in town, so I'm guessing Keno and drinks? That, on top of the fact that I'm not earning any activity PointsPlus right now, makes for one heck of a tough week! But I'm feeling up to the challenge. I don't plan to eat any desserts at Noah's school; I'll drive myself to Wine Club, so I won't be tempted to drink more than a glass or two of wine (knowing I have to drive); and I requested that my mom make a healthy Christmas dinner on Monday. The only day I'm worried about will be Tuesday, but I'll probably buy some super light beer (2 PP each) and keep the snacking to a minimum. When I have time to plan stuff out like this, I usually do pretty well; it's the unplanned events that I have a hard time with! Anyway, I'm really glad I went back to my meeting today. Glenda was SO nice and I don't even know why I felt nervous about going. Weighing in made me feel really determined to have a good week! I know that you are resting from running, but what about the Wii Fit or walking for some Activity Points? Plus, I think that any exercise, even if it is low intensity, still helps mentally keep you on track for a good eating plan. Finding that determination again....it's tough. 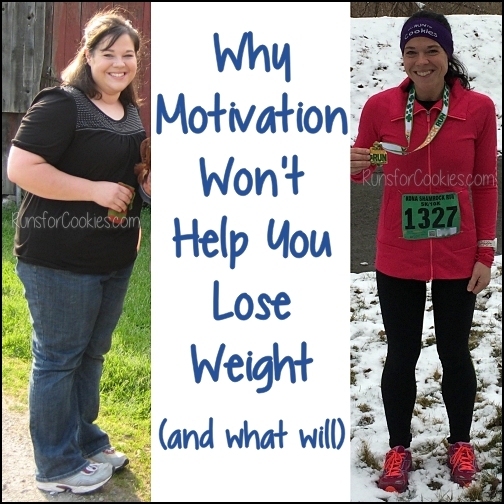 I think that is the key to losing weight and keeping it off. I don't know what turns that off and on, but if I did, I could probably market it and be a millionaire. So true--about not waiting for a New Year to get started. 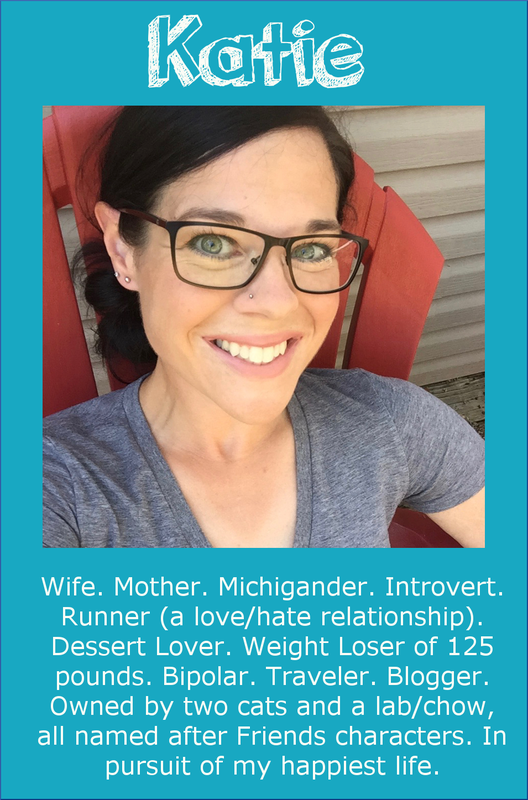 I joined a dietbet that began on Thanksgiving and ends on Christmas Eve. I needed something to keep my accountable. I probably won't hit my 4% lost goal and win my money back (it will be the first Dietbet of the five I've joined that I've lost--and I'm not giving up yet), but if I can keep from gaining I'll be happy. Last year at this time I started my 32-pound gain that I couldn't reverse until June of this year. 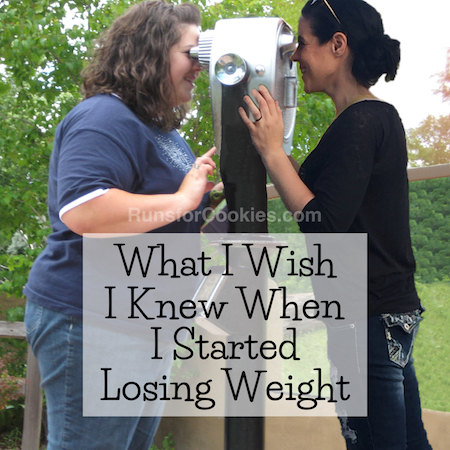 I just don't want to start 2015 with a 20- or 30-pound gain again. It's so hard to get off those last pounds....again and again! Good luck to us!! Oooh, too bad you didn't get back to meetings a week sooner! Last week's topic was "Is this food worthy of you?" That's always a good question to ask! I'm (re)-learning that it's okay to stop eating something that isn't really as good as I thought it would be. I feel like I'm in the same boat as you as far as splurges go. 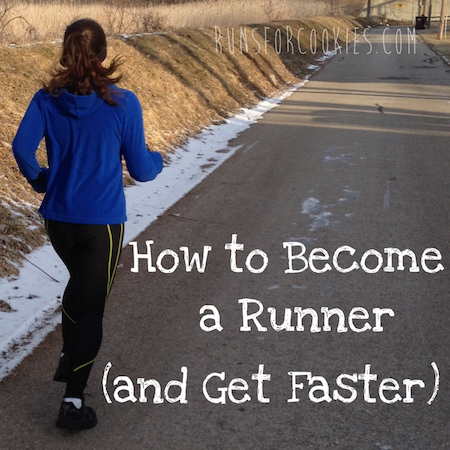 I was good at being like "I don't want that store-bought cookie because I have homemade ones" and other strategies that kept me on track. But the past month or so, I feel like I'm so far off track that I can't find the rails again (to keep with the analogy). It's like the motivation packed up and left. I can see where I used to have it, but I can't restart it. I'm still going to my meetings (not WW, but another program). I just wanted to commiserate. I know what you mean about saying "Yes" to everything. It's like I'm either eating fun foods in moderation or going crazy trying everything. When I'm in that "Yes" mood I rationalize and tell myself why I "deserve" to taste everything so I don't "deprive" myself. Then binge mode sets in. Like you I need something to keep me accountable for how much I eat. I still have hard time trusting my fullness level because a lot of the time my emotions override listening to my body.